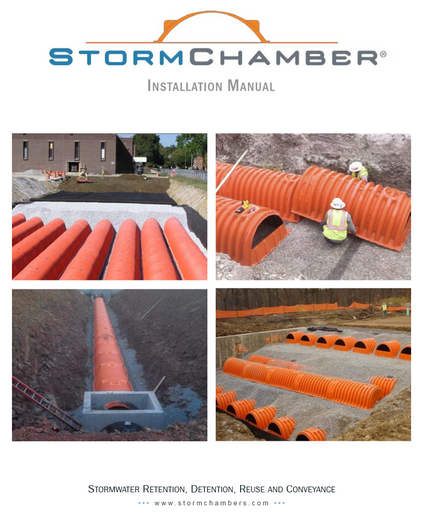 StormChamber storm water chambers are quicker and easier to install than other types of underground storm water chamber systems. The side-portal feed provides greater flexibility in engineering and hydraulic design, eliminating circuitous routing of feed pipes from inlet structures to the entry point of a header pipe. 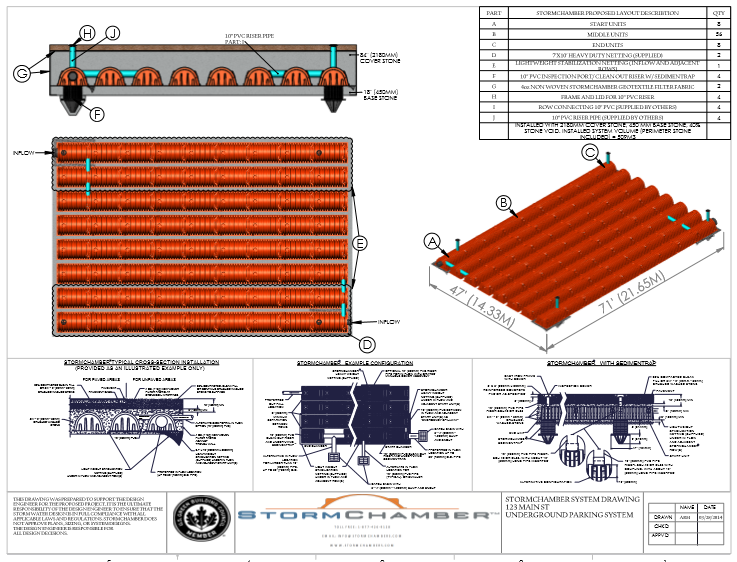 The StormChamber storm water management system provides an environmentally progressive and technologically advanced storage and pollutant removal solution that is cost-effective and requires less maintenance than other types of underground storm water management systems. Less Maintenance: Our SedimenTrap reduces the need for pretreatment devices. Different Sizes Available: We offer different sizes to meet your storage and footprint requirements. Multiple Layer Capabilities: Competes better with concrete vaults, large diameter pipe, and others. Deep Cover: Some of our systems have gone down as far as 16’. Great For Cold Weather: Our chambers have a better brittleness factor than polypropylene chambers. Easy Shipping & Handling: Our chambers stack and nest neatly for transport, storage and can be hand-carried. Compare StormChamber to any other systems you may be considering. StormChamber systems require less maintenance. We provide free design assistance. We provide a design calculator for the storage requirement. We provide the system drawing to incorporate into engineering plans. We provide complete system quotes so you can objectively compare to others.